This heavily taxidermied dive is not afraid to be different, and with a collection of mismatched chairs and wood everything, this patio is a kind of eclectic outdoor heaven. You’re definitely gonna... sorry’boutthis!... 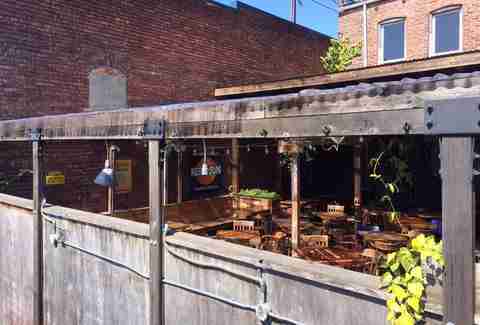 needa loosen your belt after finishing a Philly Smash w/ charred peppers, onions, Gruyere & special sauce; or the Black Forest ham/Gruyere/Dijon mayo/truffled shoestring potato-topped Monsieur on the breezy patio of this Fremont burger joint. 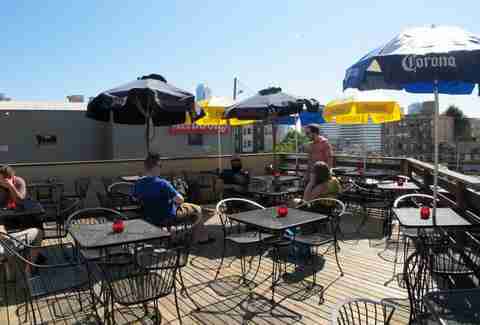 A hopping rooftop patio adorns this Capitol Hill sports bar, perfect for watching the clouds float overhead while chowing down on some classic chicken & waffles. 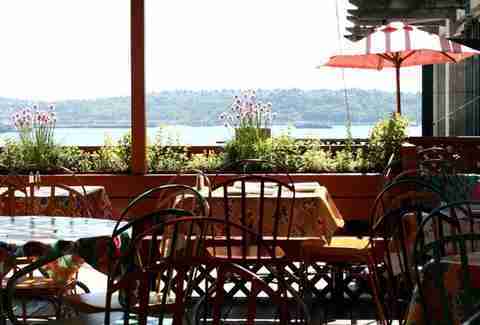 Hidden on Post Alley in Pike Place Market, this quaint Italian restaurant not only features live performances from artists (aka, burlesque dancers), but it also has an incredible patio view of Elliott Bay. 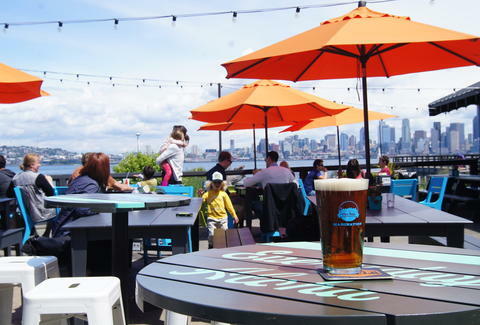 With a magnificent view of the harbor and delectable, Hawaii-inspired Asian food, it would be easy to forget while sitting on this patio that you’re actually in Seattle... if you didn’t have the best view of city’s skyline of any restaurant in The Town. 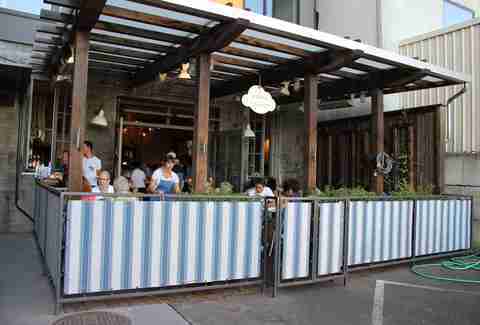 A magnificent rusty, metal chandelier is the centerpiece at this cozy oyster bar, but the real hidden gem is the tiny patio -- perfect for a romantic evening outside. 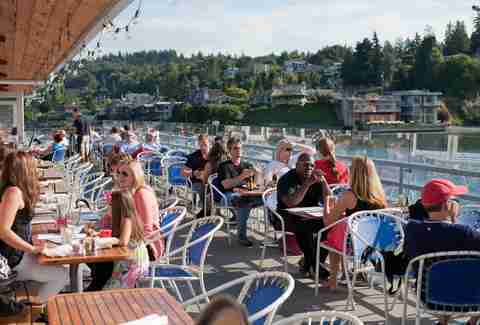 Nothing goes better with a fine glass of wine or a cheese platter than the calming breeze of a Seattle summer. 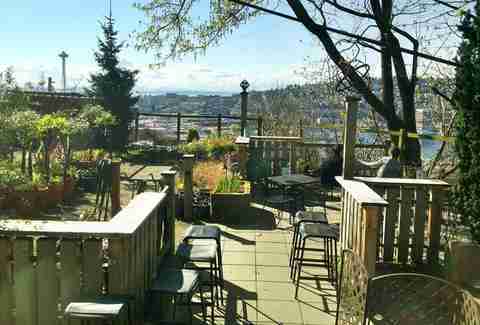 You can enjoy all three on this charming patio in Madrona. Enjoy some chips, salsa, and guacamole on the spacious outdoor patio in Eastlake that's so sweet, even a few shots of tequila couldn’t make you forget how beautiful your surroundings are. 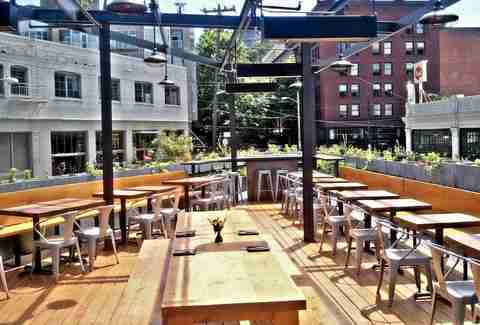 You’ll need to cool down on this Spanish-inspired patio in Belltown after eating the delicious, spicy cuisine cooked up in the kitchen. Get the Green Chile Cheeseburger, and be ready for a flavor explosion. 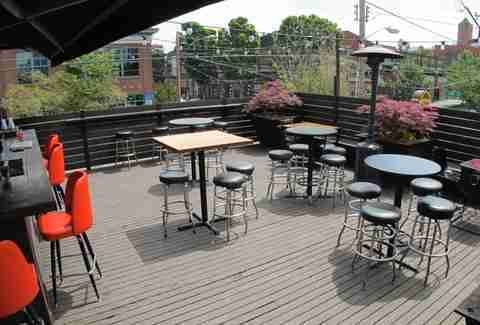 Kick back, relax, and grab your table (or just yourself) a pitcher of mimosas to enjoy on this divey Capitol Hill patio. When you’re done, head inside and play some classic arcade games. 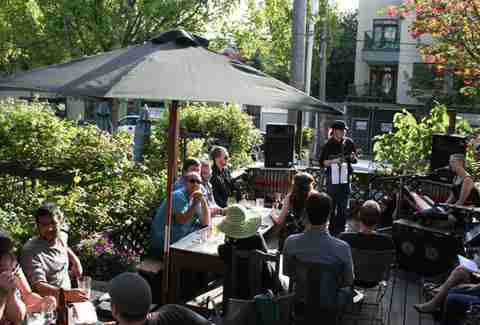 The patio at this beloved by Capitol Hill locals' bar is a garden oasis, with trees and greenery creating a low-key experience that would almost make you forget you were in the city if it wasn't for the amazing view of the Space Needle. 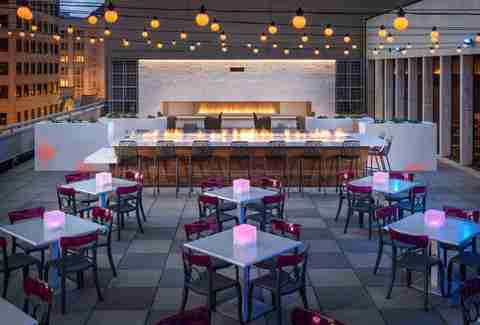 Set against the Downtown Seattle skyline, modern cuisine and cocktails bring a fun and lively atmosphere to the very social setting of Frolik, where you can sit by the fire, or play Ping-Pong, or... um, do neither of those things? 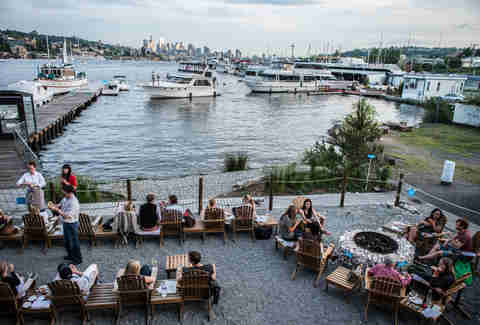 The large deck area of this North Lake Union eatery has a comfy fire pit and beach area, ideal for large groups to enjoy the waterfront view long into the evening. 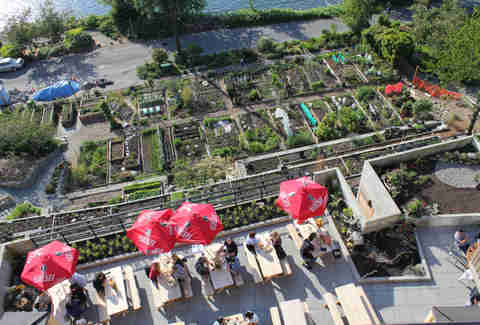 This “Earth-to-plate” concept restaurant makes lounging outside a relaxing and green experience. When you're surrounded by an edible garden, Monday night paella is just that much sweeter on the patio -- especially with a flight of Spanish wine. 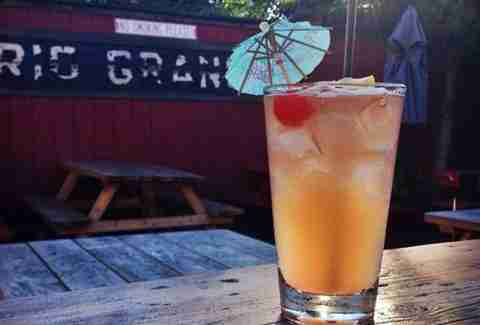 This Capitol Hill restaurant and bar has two large patios made for lounging about on a hot summer day while sipping on a killer Captain’s Tea. 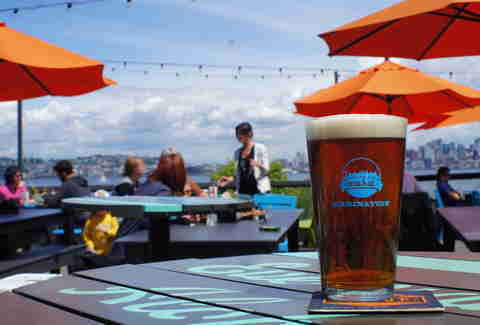 Scenic views of the Puget Sound and the Olympics make this iconic Ballard restaurant the perfect place to eat some seriously next-level seafood or sip on over 20 microbrews. 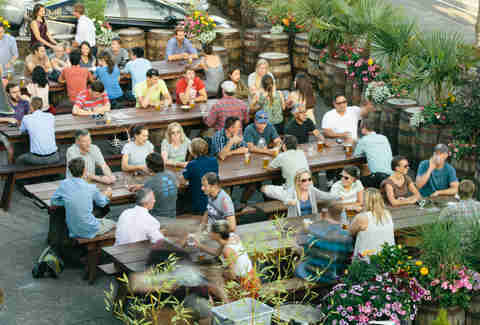 Since drinking beer is everyone's real favorite patio pastime, Fremont Brewing’s urban beer garden gets the top spot. The spacious beer oasis is perfect for sipping some sustainable, local brews and stocking up on complimentary pretzels and apples.